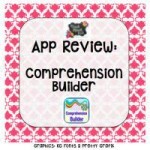 Comprehension Builder by Abitalk : Overall, I liked this app because it offered three difficulty levels; a great number of tasks for working on answering questions; and an opportunity to sequence phrases or words in grammatically correct sentences. I would be able to use Comprehension Builder with more clients on my private caseload if picture symbols were used with words. Overall Impression: Comprehension Builder 2 is another excellent app developed by Abitalk Incorporated. This app follows on from Comprehension Builder; however this one is aimed at children from six years and upwards, and is relevant to developing readers/writers as well as being relevant for children with learning difficulties in special education settings. Overall Impression: I would recommend Comprehension Builder to any teacher, therapist, or parent working on “WH” questions with children. The app offers an engaging and interactive way to learn a very important language skill. High quality photos and the ability to truly customize the app for more than one student by creating your own sentences and questions, easily and quickly, make the app a definite keeper! Overall Impression: Comprehension Builder developed by Abitalk Incorporated, is aimed at children from four years and upwards, and is relevant to early readers/writers as well as children with learning difficulties in special education settings.The app aims to help develop a child’s ability to build and comprehend sentences, whilst asking a series of ‘Who, What and Where’ questions. All sentences (fifty seven of them) are written in the present tense. -I like that the student has to answer questions prior to making the sentence. It gives you practice with WH questions! A fun new sentence builder app to learn about words, sentences, pronunciation, grammar, and punctuation. The ONLY sentences app that can be fully customized with your own pictures, words and sentences. 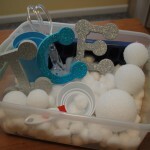 We worked closely with teachers, parents and kids to design and test this app. - The ONLY app that allows the users to CREATE their own stories, questions and add their own images. - The ONLY app that READS the stories, comprehension questions and choices. Reading Comprehension Physical Science for Second Grade has twenty stories about the physical science related young children's daily life. You can also create and add your own stories to the app. © Copyright 2019. All rights reserved. Powered by AbiTalk.